Can a New House Have Mold? Absolutely, a new home, even while under construction can have mold problems. The sneaky thing here is that the home could have the mold covered up with new wall finish and paint. Just to give perspective, many builders now have the materials for a home inspected for mold before it is unloaded by the supplier at the home site. After the initial materials deliveries, if it rains during construction, flashings are missing, openings cut for plumbing vents, leaks at a foundation wall all can be the source of mold in a new home?.before it is completed. The picture in this post is from a newly built home that I discovered had high levels of mold during a mold assessment prior to closing. The builder SAID they fixed the source of the mold as a condition of closing. They did not really fix it, but there was not any way to check in the dry August weather at that time. The owners had a re-test prior to the expiration of the 1 year warranty on the home. The mold test was elevated AGAIN. This time, the builder actually removed the drywall covering the wall that we said was leaking the first time. SEE ALL OF THE WATER LEAKING into the foundation in the picture. 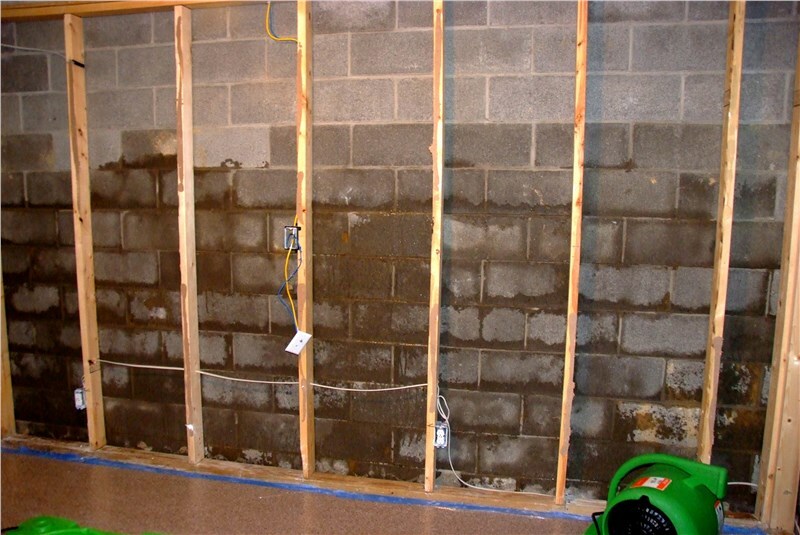 If the homeowners had not arranged the mold assessment and testing both times, they would have been stuck with the bill of digging out the foundation, removing and replacing the drywall and treating for mold. That amounted to tens of thousands of dollars of expense to the builder. In a sad side note, one of their neighbors, despite the warnings of these people, did wait until after the 1 year warranty and landed up paying for their work to be done. LESSON OF THE DAY: Have a mold assessment and test conducted PRIOR to taking ownership of any home….new or older! The bottom line, you take ownership of the mold and expense of removing it the day you sign the closing documents.